Although I have no plans to grow bulging biceps, I do incorporate strength training into my home gym. According to the Mayo Clinic, people naturally lose lean muscle mass as they get older. It's a calorie-burning activity that helps keep weight in check and increase bone density. This training can even help with chronic conditions like diabetes, heart disease, back pain and depression. Although I shared many moms' fears of turning into a hulking muscular monster, months of training has only added definition to my shoulders and tightened my abs (a little). As home gym equipment, adjustable dumbbells provide the variety of big exercise machines in a small package. These little bars with weights on each end can be endlessly adjusted for each exercise. Human Kinetics estimates that the majority of people can complete most exercises with a set of 5 lb to 70 lb dumbbells. I don't think I can even lift a 70 lb dumbbell with one hand, so it may be less weight for women. The range of exercises that you can do with dumbbells is huge. Most people think of dumbbells as being an arm workout, but doing squats with dumbbells is a great calorie burner too. Storing dumbbells is easy and buying them is a lot cheaper than a weight training machine like a BowFlex. Dumbbells also provide some health benefits that weight training machines do not. They build independent motor skills because it's more complex to move two arms independently. Dumbbells are also free weights, which means that you have to stabilize your body using your muscles when you use dumbbells. Even a bicep curls works out your abs as you try to sit up straight. Dumbbells are a pretty basic home gym accessory, but there are a few different options. With cast iron plates and a chrome handle, these dumbbells are solid. The Yes4All can be purchased in various maximum weights, starting at 40 lbs and ending at 200 lbs. Each dumbbell has 3 lb and 7.5 lb weight plates. The weights are locked into place with a little star collar. Changing out the weights is simple, but it isn't very quick. People who need to be able to change weights quickly (like fans of P90x) might not like this design. If you buy a 60 lbs or less version, it's easy to purchase more standard weights, but the 105 lb and heavier version are a non-standard bar size that is slightly too big to accommodate additional weights. Yes4All are basic dumbbells for a reasonable price, but what stands out is the excellent five-year warranty. If you need to change weights quickly for P90X or other home workouts, these might be the dumbbells for you. Instead of removing weights from each side, the handle is inserted into a variety of weights. Then you twist a dial to what weight you want. When you lift up the handle, the right number of weights are attached. The BowFlex dumbbells can adjust the weight from 2.5 lbs to 52.5 lbs. These are also the most space-saving option because you won't end up with cast iron weights scattered around the living room. It's all stored in a neat little rack. This convenience comes at a price because these are the most expensive option. The Boxflex does come with a two year warranty, though. Adjustable kettlebells offer many of the same benefits as regular dumbbells. Both types of equipment don't take up much floor space and yet offer a wide variety of exercises. Even though adjustable kettlebells and dumbbells are similar, I like having both because you can do different types of exercises. Kettlebells are good at mimicking real-world lifting exercises. You wouldn't pick up a heavy box like you would pick up a dumbbell. However, practicing kettlebell lifts does prepare you to shift heavy objects. Like dumbbells, the free weight movement of kettlebells also builds additional stabilizing muscles (which makes it even easier to pick up that heavy box). Kettlebells also often incorporate swinging motions, which challenges your balance. When you add kettlebells to your home gym, you allow yourself to do a huge variety of exercises without taking up too much space or spending too much money. To learn more about these weights, check out my review of the best kettlebells of the year. This sky-blue kettlebell was designed for use by women. It's one of the only ones that I've found in a feminine color. If you've never used a kettlebell before, the Empower might be a good option because it comes with a workout DVD. There is a click mechanism that you use to add or remove weights from the bottom. As a warning, it can take some time to get used to how the shape of the kettlebell changes as you adjust the weight. When you change weights, the overall size and balance point of the kettlebell shifts. Because the mechanism for adding weights is mechanical, I would want to have a good warranty on this kettlebell. Unfortunately, I couldn't find a warranty, which likely means there is none or it's limited. The Powerblock Kettle Block reminds me of the Bowflex adjustable dumbbells because both of them use a stand to determine how much weight to add. Unlike the Bowflex, the Powerblock does not have a dial. Instead, there are colors coordinated to different weights. You insert the safety pin in the color of the weight that you want to use and then lift the kettle black from its stand. One nice thing about this design is that you have more 4 weight options instead of 3. There is also a 40 lb option if you are in better shape than I am. While it's a bit bigger than the Empower and takes up more space, it does come with lifetime warranty. If you want a cheap option for adjustable kettlebells, you can buy multiple sizes of the CAP kettlebell. It's not really adjustable, but buying multiple sizes is an option if you have space to store them. If you're not sure that you like kettlebell workouts, this may be a good option. Test it out and see if you're willing to invest in more sizes or an adjustable kettlebell. Heavier versions of the CAP kettlebell are massive because concrete isn't that heavy. The vinyl can get slippery as you sweat, so hold on tight. ​Medicine balls, which first appear to be heavy basketballs, are an ancient and versatile exercise tool. Often weighted from 2 lbs to 20 lbs, medicine balls are sometimes used for rehabilitation from injuries. As you heal, you can progress from lighter balls to heavier balls. As an exercise tool, they offer something that dumbbells and kettlebells do not, the ability to bounce. Hurling medicine balls at the wall and then catching them is an entertaining exercise. It also develops explosive power and trains your balance. If working out alone seems boring, you can also use medicine balls with a partner or group. Throwing and catching medicine balls at various angles, as you would in a circle, help to target and build different muscles. Cheap and small, medicine balls are easy to add to a home gym. Touted as perfect for CrossFit workouts, the Rep Fitness medicine ball is squishy to the touch. 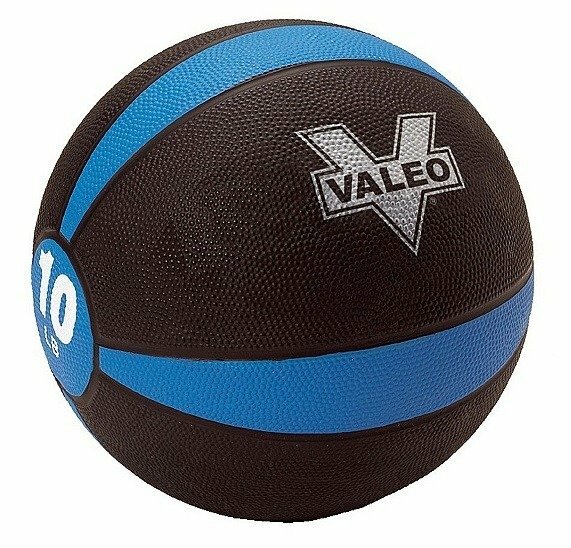 Although most medicine balls are firmer, like a basketball, soft balls are less likely to cause injury when thrown. Each synthetic leather Rep Fitness is 14". While this is larger than some others, many people like the consistency in size as you increase in weight. The balls are different colors depending on the weight, which ranges from 4 lbs to 40 lbs. The Rep Fitness ball comes with a 30-day guarantee and a 2-year warranty. This ball is appropriately labeled AmazonBasics because it gives you all the basic functionality for a low price. With a textured rubber finish, like a basketball, the AmazonBasics range from 2 lbs to 20 lbs. They can be more bouncy than expected if you are accustomed to a soft medicine ball like the Rep Fitness. They can also be a bit harder to catch on the firmer surface. You can't dig your fingers in. I recommend doing soft bounces against the wall for the first few times to get used to it. Though the AmazonBasics seems pretty sturdy, I was disappointed that they did not appear to have a warranty. 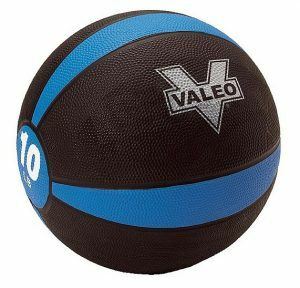 The Valeo medicine ball is similar to the AmazonBasics with a textured rubber finish. It also comes in 2 lbs to 20 lbs. Like the AmazonBasics, the size of the ball changes as you increase in weight. Again, I couldn't find a warranty for this product, but it seems pretty sturdy. My friend said that it could split if thrown too hard. It's not made for "slamming," which requires a different type of soft, non-bouncy ball. As a generic medicine ball, it works pretty well, but it's a bit more expensive than the AmazonBasics and doesn't provide any additional features. Like what you've read here? If you're looking to get washboard abs, check out my guide for buying a new ab machine. I also have details on the iron gym workout bar - extreme and a bowflex xtreme 2se review. 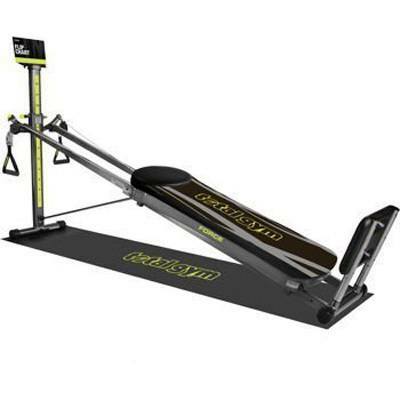 This is a machine that the entire family can use, whether they are fitness beginners or in the advanced stages of their physical development. The Total Gym XLS comes with a total workout program to take the guesswork out of the process. This gym will help you get the results you desire without breaking your bank account on gym memberships of wasting your time. With a weight capacity of 400 lbs, an upgraded comfort system, nylon straps, wing attachment, a pulley and cable system, a squat stand, a leg-pull accessory and a wing attachment. This setup allows you to do over 80 different exercises targeting all different kinds of muscles. You can tackle strength training for all muscle groups, stretching, and cardio, all in one place! However, that's not all. This isn't the kind of fitness machine you'll set up and allow to collect dust because you aren't exactly sure how to use it. Included are 5 workout DVDs, a training deck, a nutritional guide, a meal planning guide, and an exercise wall chart. Not only will you have plenty of guidance on how to use this equipment, but for but you also won't have to worry too much about it taking up too much space. With over 60 gym-quality exercises, you can efficiently work your whole body with The Bowflex Blaze Home Gym. With the patented Power Rods, this machine provides over 210 lbs. of resistance, upgradeable to 310 to 410 lbs. A sliding seat rail helps you take the position for presses and aerobic rowing. Underneath, there are ankle cuffs and a triple function hand-grip to work your lower body further. The lat bar and the squat bar enable custom workouts. Wheels and a foldable bench provide easy storage for this model. You’ll be able to move it out of the way after use. 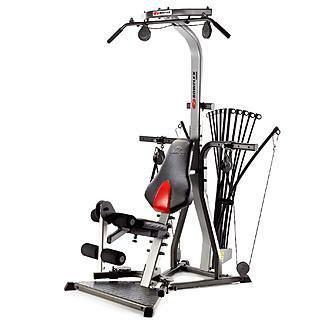 Designed for serious strength training, the Bowflex Xceed offers a more attractive design, as well as broader backrest. 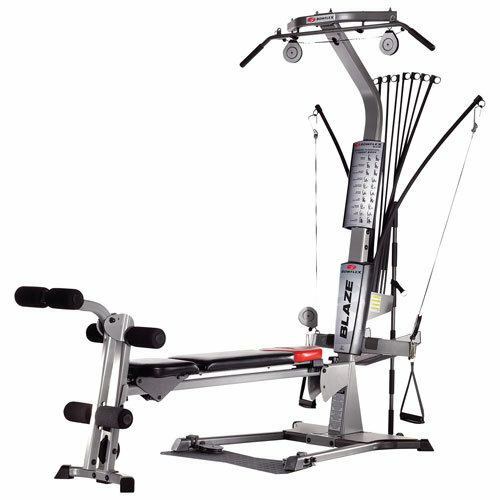 It has a very similar frame to the Xtreme 2SE model but lacks the pulley bar at the top. With rust and chip resistant paint finish, this machine is built for the long haul to serve throughout your physical transformation. The footprint of this machine isn't particularly huge in comparison to other Bowflex machines. While it takes up about 53"L and 49"W of floor space, it requires about 96"L by 78"W to be used properly. One of the things that makes this machine different is the lack of adjustable stability bases. It rests on rubber pads to grip the floor and hold in place as you exercise. The weight of the machine should help to keep it stable while working out, so you shouldn’t need to anchor it. There is a front plate for doing standing exercises like squats. With four connection points, the lat bars support the adjustable pulleys. With the small bar at the back of the frame, you'll be able to do trunk to do trunk rotations, crunches, and other pulley exercises. 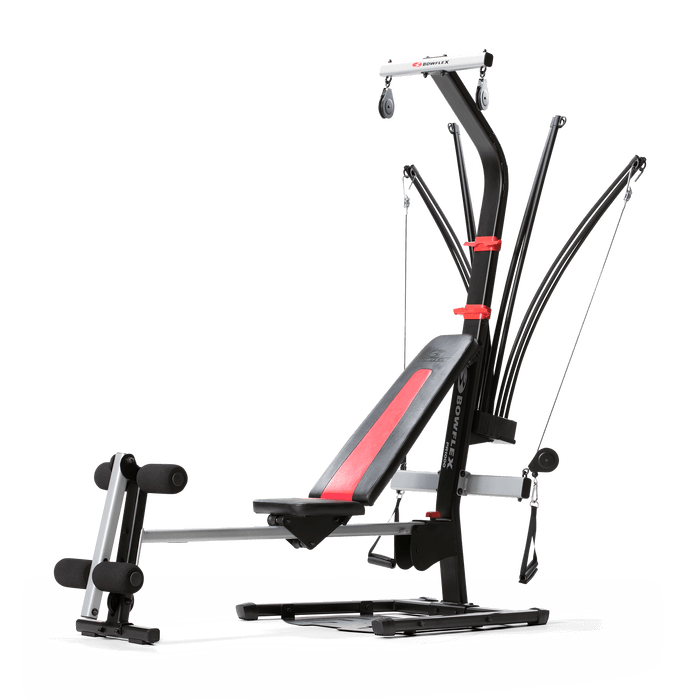 The Bowflex PR1000 is considered one of the most affordable of all the Home Gym systems. With their innovative resistance systems, these machines enable you to engage in a wide array of exercises to serve all kinds of workouts. Constructed out of high-grade durable steel, it’s meant for users who weigh up to 300 lbs (or 136 kgs), but it should be able to support heavier. While the machine comes with anti-scratch and anti-corrosive paint, it's meant to be used indoors. Preventing exposure to moisture will extend the life of the machine, after all. Though this machine isn’t the bulkiest of Home Gyms, you’ll also find that it’s not the smallest either. With a height of 81” (205 cm) and a footprint of 84”L x 38”W (213 x 97 cm), you’ll find that it’s not suitable for a room with low ceilings. Remember that when you use this machine, the rods bend outwards, increasing the width. One of the best parts of this machine is the folding design. You can lock the bench in horizontal position using the pin connecting the bench's bar to the mainframe. What exercise equipment does Chuck Norris use? With over 60 different exercise options, the Total Gym Force Home Gym targets all muscles. The upper-body elements target your deltoids, lats, and pecs, while the lower body equipment focuses on your glutes, calves, and hamstrings. 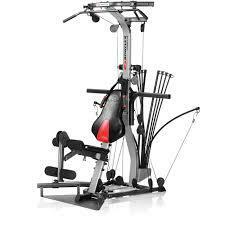 This machine also comes with no shortage of accessories to help you increase the intensity of your workout. There are dip and press up bars for your upper body. There’s a squat stand and leg pull for getting the lower body in shape. Most notably, the Total Gym force also includes instructional materials to make sure your equipment doesn’t go to waste. 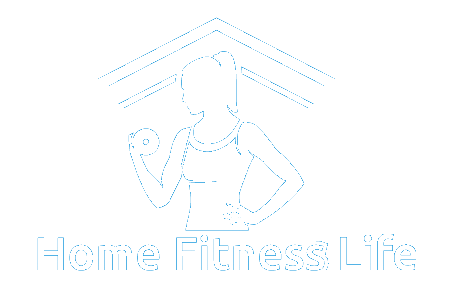 Resources include a nutritional plan, a meal plan, an exercise chart, and DVDs. You’ll find all of the things you need to make a serious impact on your fitness levels. Designed for training all the muscle groups, the Total Gym X-Force will enhance your at-home workout routines with unique accessories and training materials. This machine is an efficient, versatile option that will save you a trip to the gym. Using a pulley-style design, this equipment makes use of your body weight to provide appropriate levels of resistance. The most attractive aspect of this machine is its simplicity. Some people may assume that you'd need a variety of equipment to work the muscles you want. Body weight is the key to efficient workouts, reducing the number of items you need. You can jump on the machine and start using it at any time with a minimal amount of preparation. This should help with your procrastination when you need to get fit. ​​Strength training is a great home exercise option because the equipment tends to be cheaper and smaller than cardio equipment. Dumbbells, kettlebells, and medicine balls can help you get in shape by burning calories, utilizing stabilizing muscles and promoting lean muscle mass. Plus, it's fun to swing kettlebells and throw medicine balls and get to call it "exercise." 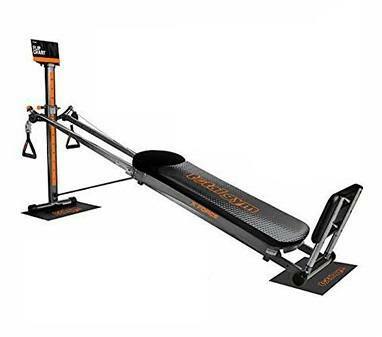 Click here to see more exercise equipment recommendations from Home Fitness Life.